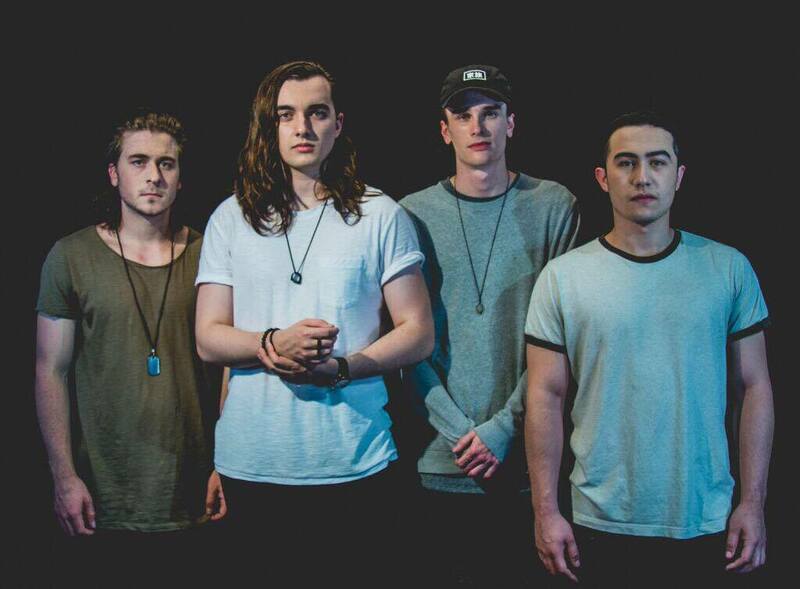 The Parallel offer an impressive debut rivaling the best metalcore albums of the year. The young group show promise and skill, and hopefully use these qualities to take steps forward and establish themselves. The Parallel has been on my radar since their debut EP three years ago. It was an unrelenting force of ridiculous mathcore riffs with metalcore choruses and structure. I loved it, and hoped for more. Well, that wish has been granted as The Parallel offers us Weaver, 12 tracks of some of the best metalcore of the year. Their guitarwork is still intensely technical and often leans heavily into mathcore, but never strays too far from melody. It is a good debut for a band that has tons of potential. While Weaver is a great album, and they do experiment with a lot of complexity in their riffs, it feels a bit safe sometimes. Some of the riffs and choruses feel like they could be right at place in the catalog of any other number of progressive metalcore bands. This comes as a slight disappointment as other moments of this album are so great, and just the playing of each individual band member shows their capability. With a bit more experimentation with their sound, they could be a true force to be reckoned with. There is one particular moment in “Chimera” around halfway into the track where they go from a light interlude into an almost black metal moment. A shrill high scream rages over a blast beat suddenly, before returning to a groovy and catchy metalcore chorus. This is one of my favorite moments of the album, but then goes right into a chugging breakdown reminiscent of too many ones before it. It sounds good, but leaves you wanting something more after the unique moment preceding it. That’s not to say that I hate breakdowns; I still appreciate a good one, and, as a matter of fact, the breakdown to end the very next track “Time Tunnel” is one of my favorites of the year. I am a huge fan of lyricism, and I wish I could find more of the lyrics for Weaver online. The lyrics for “Chimera” are available and I enjoy their concept. They explore life and being locked into it, unable to make any changes and being afraid of being on the wrong path. Singer Luke Snider asks for the clock to be reset and to be given another chance at life to make different decisions. The song references Chronos, the Greek God and personification of time, asking that he be the one to grant another opportunity. The Parallel has definitely established themselves in the progressive metalcore scene. All members show they have the chops to shine with the biggest acts in the genre, and possibly outdo them. But in a scene that seems so hard to find uniqueness in at times, settling there could have a huge effect on the growth of any band. While it’s still a genre I enjoy, it has grown rather stale. I can tell the members of The Parallel are talented musicians with a lot of drive to succeed. Even as a metalcore act, I feel they have a lot of potential for growth. Seeing what steps they make with their next release will be interesting. I would love to see something from them to elevate them to the next level. For now, Weaver is a solid entry into an active genre that is sure to get some eyes on them. Previous PostDødsferd- "Diseased Remnants of a Dying World"